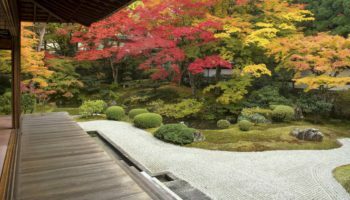 On the south end of the Philosopher’s Path, Nanzen-ji Temple wasn’t always the picture-perfect portrait of serenity and everything Zen. Beating at the heart of Zen since 1386, Nanzen-ji is famed for its massive main entrance, Roman-style aqueduct, and twelve sub-temples serving up tasty temple-fare throughout the sprawling grounds. But this long-established Buddhist temple houses a ghostly past. Nanzen-ji Temple was once plagued by a poltergeist. Photo by kanegen. 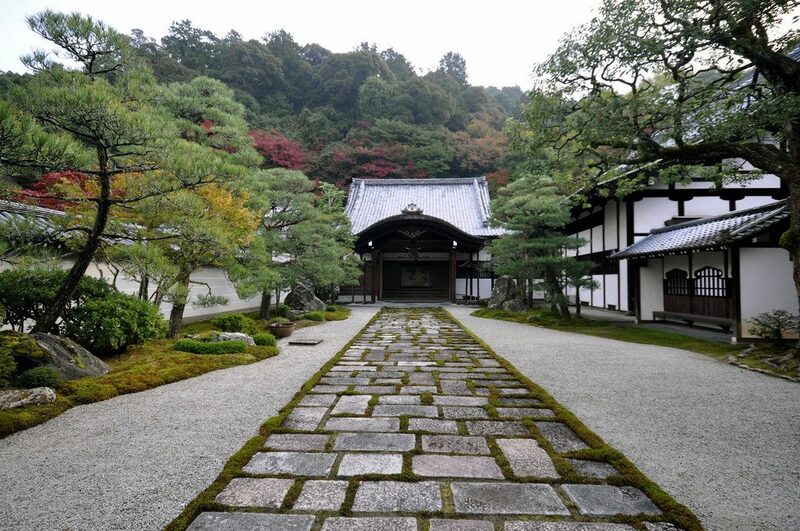 A retirement villa for the 90th Emperor of Japan, Nanzen-ji was once plagued by poltergeist spookery – with doors reportedly flying open and a lingering sense of presence over the royal family – until a Zen priest was summoned to exorcise the malevolent spirit. As the story goes, Priest Fumon exhibited the power of mind over matter simply through seated meditation. The rest is well-documented history. 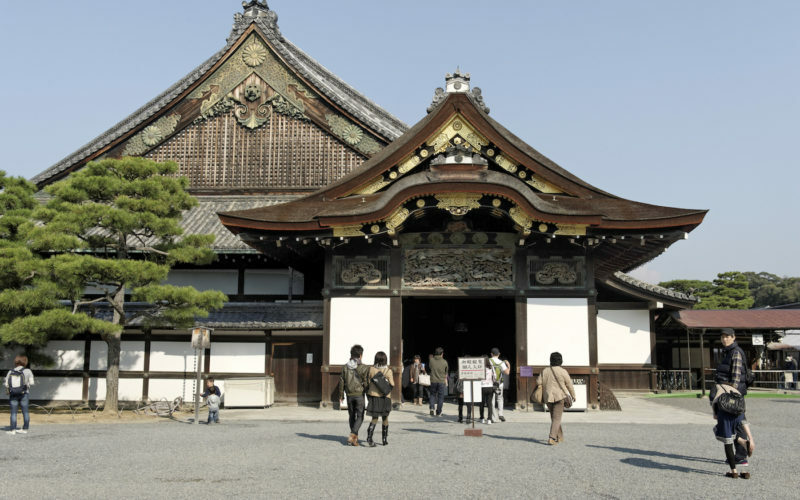 The Emperor not only converted to Zen Buddhism but went as far as to convert his imperial villa into an impressive Zen temple – marking the beginning of Nanzen-ji. 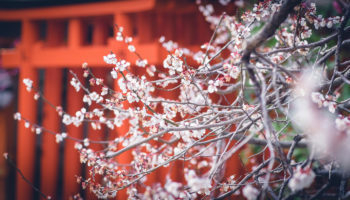 Today, this sacred space for contemplation follows in the footsteps of its predecessors by offering zazen meditation classes either for free or for a small fee. 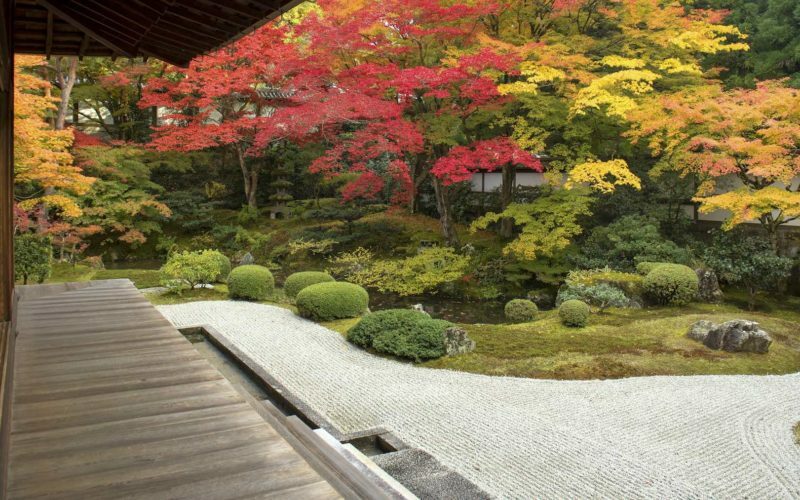 The Suirokaku is an unexpected feature of Nanzen-ji. Photo by Shibuya246. 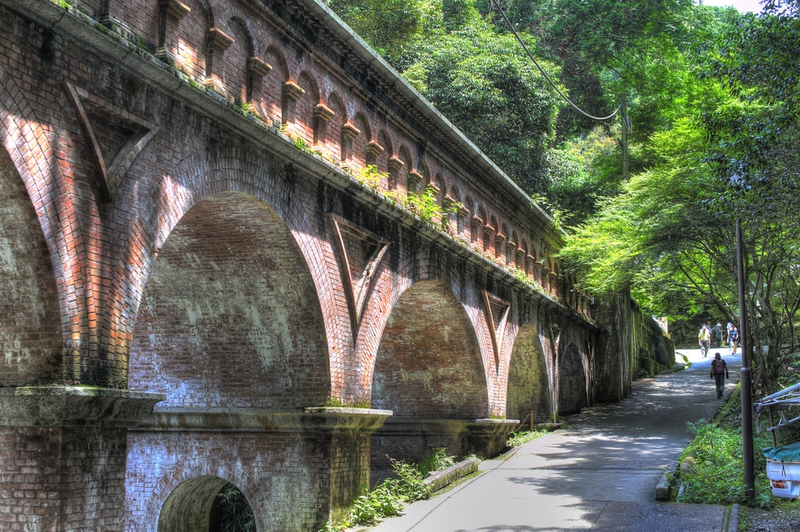 You won’t miss the ancient aqueduct (known as Suirokaku) built in the style of the Romans. 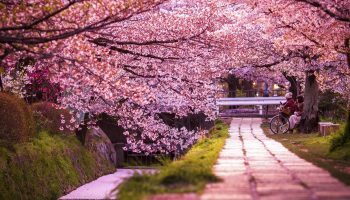 While its construction dates back to the Meiji Era, the Suirokaku is still seen as a fully-operational feat of Japan’s triumph in civil engineering. You can follow the flow of water being transported from Lake Biwa into Kyoto for a few hundred meters at the top of the pedestrian walkway. But before entering the inner recesses of Nanzen-ji, gawp awhile at the temple’s colossal entrance, called Sanmon. 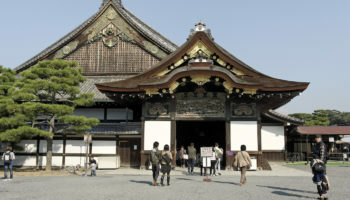 The gate derives its name from the number three in Japanese and pays homage to the three gates of spiritual liberation in Buddhist teachings. This iconic gateway also features in literary history through the Kabuki drama Sanmon Gosan no Kiri (The Paulownia Crest at the Temple Gate). Rumor has it that the Robin Hood-style bandit, Goemon Ishikawa, was so taken aback by the temple’s panoramic view that it led to his capture and inevitable fate – to be boiled alive in an iron kettle. Nice. Make sure to try the yudofu or simmered tofu. This healthy vegetarian dish can be eaten in neighboring restaurants or within the gorgeous gardens of two sub-temples (Okutan and Nanzenji Junsei). 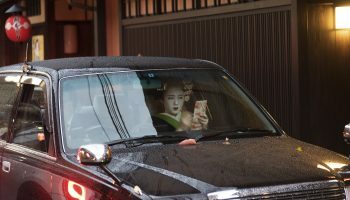 From JR Kyoto station, take the subway to Karasuma Oike Station, where you must transfer to the Tozai Line for Keage Station (a 20-minute train ride). From Keage Station (the closest subway stop), enjoy a short 7-10 minute stroll to Nanzen-ji Temple. Take the Kyoto City Bus 5 from Kyoto Station’s bus terminal (approx. 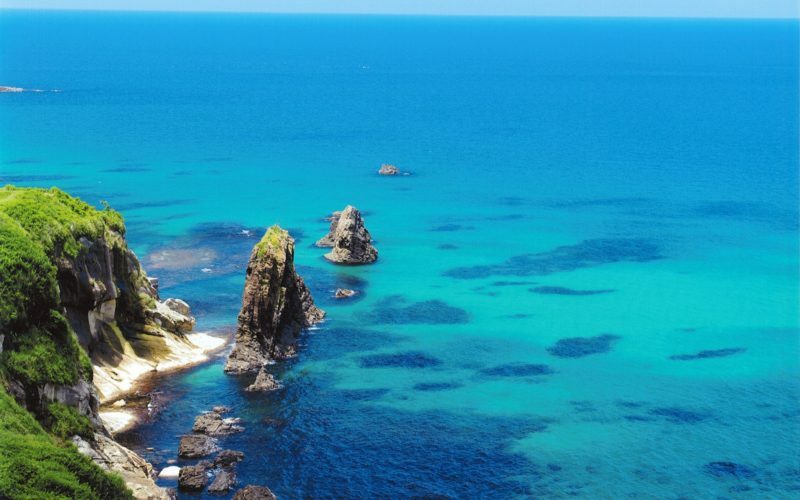 a 35-minute bus ride) to Nanzenji-Eikando-michi bus stop (a 10-minute walk from there).